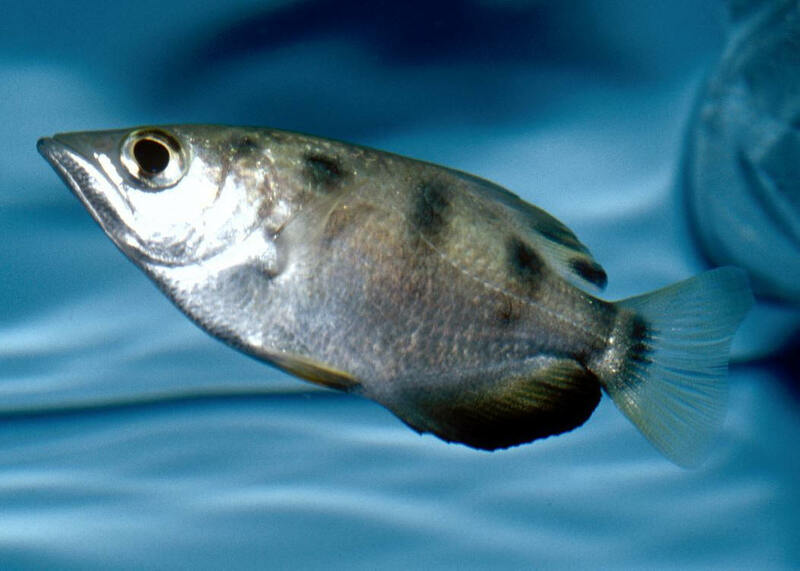 Toxotes jaculatrix (Pallas 1767), the Banded Archerfish. The principal species used in the trade in the west. Asia and Oceania; India to the Philippines, Indonesia, Vanuatu, the Solomons, New Guinea, northern Australia. To one foot in length. An adult in an aquarium. 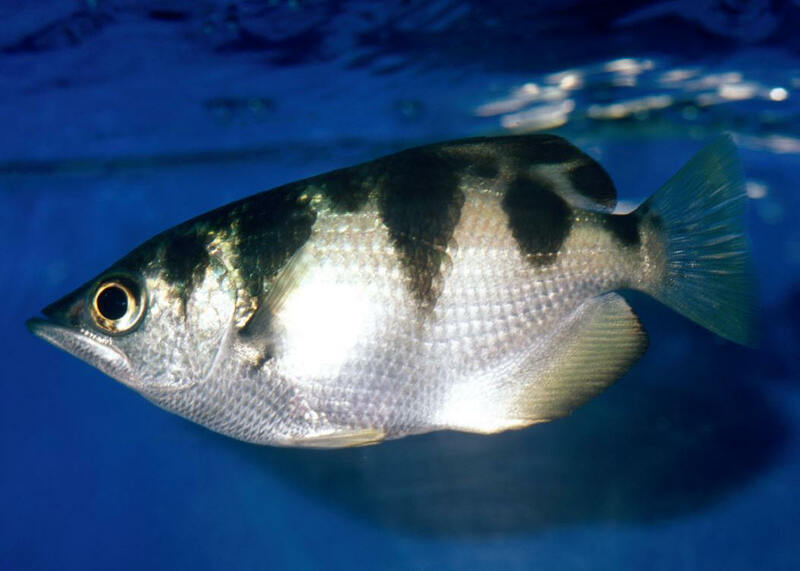 Toxotes oligolepis Bleeker 1876, the Western Archerfish. Found only in Australia's Fitzroy to as far as the Geike Gorge National Park. Freshwater. To six inches. Has distinctive outlined scales. Aquarium pic. Mulloidichthys flavolineatus (Lacepede 1801), the Yellowstripe Goatfish. Indo-Pacific, Red Sea over to the Hawaiian Islands. To a maximum of seventeen inches in length. A small pair in the Cooks. 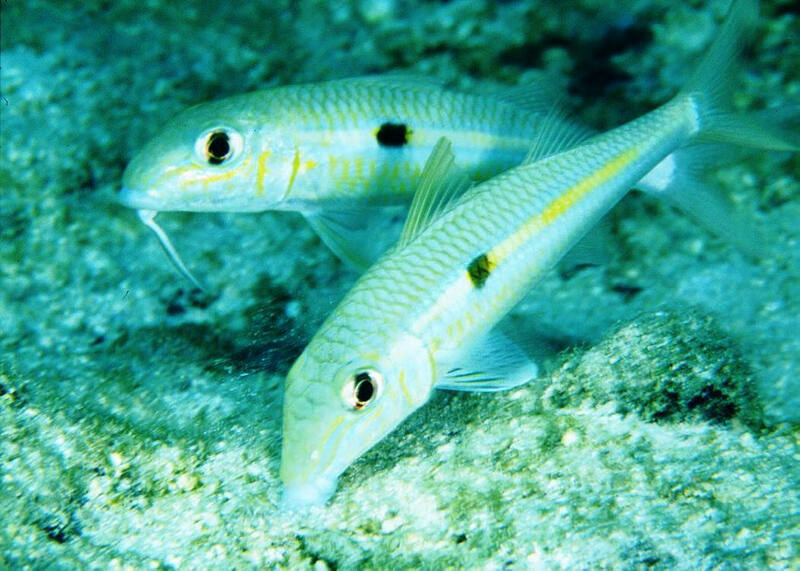 Mulloidichthys vanicolensis (Valenciennes 1831), the Yellowfin Goatfish. Indo-Pacific, Red Sea to Hawai'i. To fifteen inches in length. These out in Mauritius 2016.